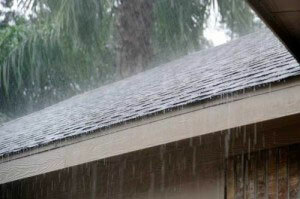 WIND DRIVEN RAIN - WCC ROOFING CO.
Often, customers will contact our office to report leaks that have manifested themselves after a storm with wind driven, or driving, rains. We hear that an area of the roof or ceiling leaks, but not consistently with every rain. Rain that has been propelled by wind, often blowing horizontally, can create water intrusion in ways that may not have been possible if wind was not in the equation. Wind driven rain can make its way past not only shingles, but flashing, chimneys, skylights, siding, windows, walls, corner boards and dormers. Having a qualified roofer to evaluate your roof and provide routine maintenance is the best preventive measure. If your property does sustain damage from wind driven rain, be sure to have the repairs done soon after the damage. The longer storm damage remains without repair, the greater the risk for more extensive damages caused by rotten wood, mold, and water damage. Your wallet will thank you. Solid reputation in the community. WCC does not overpromise, sets client expectations appropriately, and pursues clients' interests in contesting claims. Ethical roofers with a conscience.